Im a Fan of Mama's Kitchen... Are you? Fill in the below form and you can recommend ‘Mama’s Kitchen’ to a friend or family member via a text message. Show your support with a quick share of ‘Mama’s Kitchen’. Good Food, Done Right!! We are not a Fast-food restaurant. Our Food is cooked to order, just like your in Mama’s kitchen. . Bbq, Phillies, Burgers and More. They have some of the best food I have ever eaten. The owners are exceptional people and they do so much for the community. If you haven’t tried their food them you are missing out. All around they are one of the best restaurants around! Their food is phenomenal. They are down to earth with every customer. They truly care about their community and the food served. Hard working, real tasty food and the real deal in everyway. They are this fans favorite! Their food is wonderful but the owners are so sweet and personal to all of their customers. The owners/workers always get involved in needed fundraising for the surrounding communities. It is a great establishment with great people. Love them! They have good food and great menu. THE FOOD IS AWESOME BUT WHAT THEY DO FOR THE NEIGHBORHOOD IS AMAZING.THEY HELP AND SUPPORT ALOT OF CAUSES. Mama’s has the best food around..They are always nicest and polite . Great food. Friendly service. Supports the community. Because of their great food and generosity. Great food, friendly service and responsible prices! Such a great hometown restaurant! My husband found Mama’s Kitchen while driving a truck route. We have traveled over 50 miles to go eat at Mama’s on the weekend and loved every bite! The food is freshly made to order and the portions are gracious! There’s always a happy atmosphere and a smile for your day! I can’t say enough about how good the food is, but my husband brings me dinner every Friday evening from 50 miles away and it’s always amazing! When you have people traveling over 50 miles to eat your food you can say you are doing a great job! This business does so much to give back to their community. And the BBQ is the best! Food is excellent and service is great! Best food around hands down??? They’re a local favorite and my husband and I believe in supporting our local businesses. Not only do we have the honor of them being in our town, Mama’s Kitchen, has the best employees! They’ve always greeted us with a smile and sometimes a quick story that puts a smile on our faces. The biggest reason we’re a fan is because of the food!! It’s delicious! Good food, great people and a local spot. What more could you ask for? I mean, how could you not be a fan?! They’re phenomenal at what they do! Delicious BBQ, burgers any way you want them, chicken and steak Philly cheese sandwiches, scrumptious hamburger steaks, mouth-watering grilled steaks, the biggest grilled pork chops you have ever seen…sooo much more…and always great service from hometown folks, who are always giving back to the community. Mamas always has the friendliest service and the food is always fresh, cooked to order, and OMG unbelievably good! 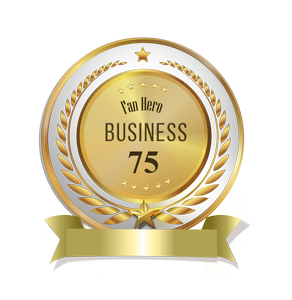 We are so blessed to have this business in our town….we love them!! Delicious Philly Cheese steak sandwiches! Mama’s place is heaven..you can taste and delight in the experience loving hands that prepared my food just as if they were feeding family at the Sunday dinner..compared to other places where it has absolutely no taste like you get where they cook food in mass amounts like most, with no flavor etc..mama’s food every bite is a bite of heaven..and more food then you can eat..but I do put a hurtin on the 1 pound Philly..lol.please try mamas.you will not regret it.. The most awesome trip home from Atlanta was made so much better by simply asking a cashier about the nearest decent place to eat…. she pointed us up the road to a lil trailer with some Amazing food…. and even better people! I mean how often is it that the cook stops what they are doing to scrape and thoroughly clean the grill simply because of a mushroom food allergy… or, an owner… in the middle of smoking some meat …. too take the time to talk to us like old friends??? Almost every employee there at “dinner time” was nice enough to meet and greet with us…. in a down home display of genuine southern hospitality. Therefore… if you’re ever close to Barnesville Georgia… and get the hankerin’ for an AMAZING brisket Philly Cheese “Sammich”…. stop in and ask for the the BIG JOHN…. this southern girl and her “Damn Yankee” boyfriend from New York, were Very Satisfied, and Guarantee you will be too…. just be sure to tell them that Barbie and Rome said hey!!!! Excellent customer service. Amazing food at a hometown price. Great food! Very friendly staff! Definitely would recommend mama’s kitchen to all my family and friends! Mama’s Kitchen has the best food .. Always has nice friendly service ..
Everything that Mama’s Kitchen serves is a step above excellent. If I had to choose a favorite it would be their Ribs and Brunswick Stew. They are both the very best I have ever had. Do yourself a favor and come on over to Mama’s for some good eats. As a local we love mama’s kitchen. The ribs are fantastic as is the brisket. The sandwiches are creative and huge. My daughters love the corn nuggets and we typically get onion rings. And the service is always speedy and friendly. Not only does Mama’s have amazing food but they are great community members. They are always doing something to help someone in the community. LOVE their food. LOVE their commitment to Lamar. My favorite place to get BBQ, Ribs and the best pork chop ever. Very good stew and sides. Owners are good people and always aim to please. Best food and service around! The food is always made fresh and always great! The portion size is generous and the staff is always upbeat, kind and courteous! Wish I got out of the office more to enjoy! They also are so helpful in the community with give aways and participation. Great people. Small town. Delicious food. Decent prices. They have a wide variety of food. I will always be a loyal customer! Everything that Mama’s Kitchen has is great. Good prices and they treat everybody as family. The BEST Brunswick Stew I’ve ever had. Amazing food and the most kind hearted people you’d ever want to meet. Everything we have ever gotten has been great! We love it!! They have great food. The Neanderthal pork chop is the absolute best! And the people are wonderful too! This restaurant is an outstanding BBQ place. Not only is their BBQ up there among the best but they continue to bring on \”delicious \” new items all the time! This place should be on TV! It\’s that good. Best BBQ around the Barnesville & Forsyth area. We live 1-1/2 hrs away, but make a trip ever so often to have our Mama\’s \”FIX\”. Always get extra to bring home so it will tide us over until our new Mama\’s \”FIX\”. I adore these people and this food.The heart of this small town and precious in everyway.My family loves Mama\’s Kitchen!! Mama’s Kitchen has the best ribs around and doesn’t mind giving back to the community. Traveled to many BBQ joints all over the state of Georgia to find the BBQ around and wouldn’t you know, it was in my own back yard the whole time. Always cooked fresh, never dry & the best BBQ sauce that will surely captivate your sense of taste like none before. I guarantee it. P.S. Their brunswick stew? I buy it by the pint. YUM. The food is great!! But the fact that they are great people makes Mama’s Kitchen even more outstanding! 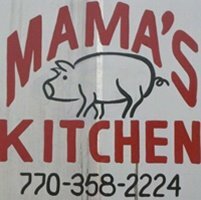 Mamas Kitchen has some of the best food you can get in Georgia,The philly is awesome and they staff is so wonderful,not to mention all that they do for L amar County.Give they a try you will not be dissappointed at all. There food is awesome and the people working there are always so nice and helpful. Angie & Thomas are in the group of the best of the best. They are constantly giving back to the community, raising funds for people in need, supporting law enforcement and there food is delectable. They have such a great variety on there menu. All is so good. But there BQ is awesome. People come from everywhere to eat here. They are so nice and friendly. Their food is always good and awesome customer service.